If you’re like me, you’ve already done your happy dance. School has started, kids are in school instead of in your hair, and you finally have some time to yourself. Well, that is after you’re done making lunches, driving the carpool, volunteering at the school, and, oh, did you forget about the dreaded….HOMEWORK?! Wait, why was I so ready for summer to end? So, up until my daughter hit 4th grade, I absolutely HATED homework. I just thought it was absolutely ridiculous that my kid should spend the whole day in school only to come home and then do homework, eat dinner, and go to bed. Seriously? 9 months of this? Not cool! Then, in 4th grade, we switched to a new school that had NO HOMEWORK! I thought I had died and gone to heaven! After one month of school, I suddenly realized the value in homework. Because she never brought anything home, I had no clue how she was really doing in school, other than to look up her grades online. Every now and then the school would send home random homework, but it was never consistent, and therefore my kid got lazy and used to just not doing her work. Ok,I never thought I would say this, but I am now an advocate of homework. I didn’t say LOTS of homework, just a little to do with with mom or dad. When my kids go to college, they are definitely going to need discipline, work ethic, and good study habits. Guess where they can learn those things? By doing their homework every day! SO, now that we’ve established that there is SOMETHING positive about the dreaded homework, how the heck do we motivate our kids to do it? 1. Convert yourself first! I learned this the hard way. When I had a bad attitude about homework, I passed that same attitude onto my kids. After all, if mom thinks homework is lame and annoying, why shouldn’t they? So, try and remind yourself of the positive things that can come from homework. If they learn how to consistently do something even if it’s hard or if they don’t like it, it will teach them how to persevere even when life isn’t all that they thought it was cracked up to be. After all, motherhood is all about doing things that aren’t fun, right? Someone’s gotta do the dishes and the laundry each day regardless of how lame and annoying it is. HAHA! Worst case scenario, if you can’t convert yourself, fake it till ya make it! 3. Fuel their brain. Most kids are hungry by mid afternoon and I don’t know about you, but when I’m hungry I get CRANKY! It’s hard to sit down and focus on homework if the tummy is growling. Give ’em a healthy snack before or during their homework. 4. Create a space and a time. So, I’ve found that if my kids have a space where they can sit and focus, they are much more likely to get that homework done. 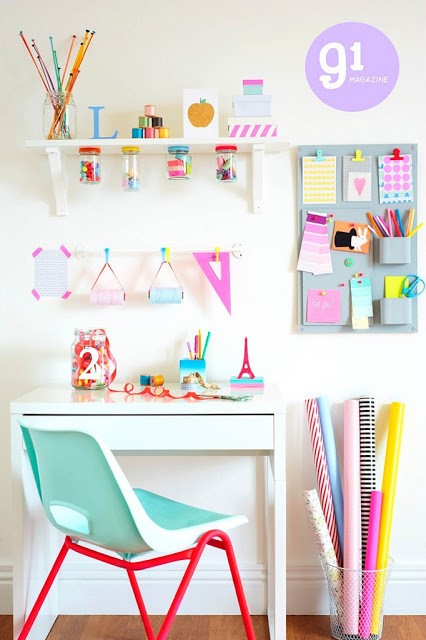 The best is if you can get them their own desk and let them help you set it up in a fun way so it is inviting and exciting for them. If you can’t do that, make sure they at least have a clear space like a clear and clean kitchen table or counter. Set a specific time each day for them to do their homework. Some parents like their kids to do it as soon as they come home, some do it after dinner, just do whatever works, but be consistent. I have tried both of those times and I have found that, for my kids, it just works better to have them do it before dinner. (that way I can bribe them with food! Haha!) In the past, whenever I would let them just chill out and wait till after dinner, it was so much harder to re focus them, plus by the time dinner is over, it’s almost time for bed. Most events also occur at night which means you will have a late night after if the homework isn’t done. Anyway, that’s just what I’ve found in my own family. Do what works of you! 5. Reward their efforts. Sometimes, when I’m having a hard time finding motivation to do housework, I’ll set a timer and promise myself a reward if I clean like a mad woman till it goes off. If my kids know they can watch a movie, play with friends, or get some other kind of reward, they are much more motivated to GET IT DONE! This is especially important if your child is really struggling in school. 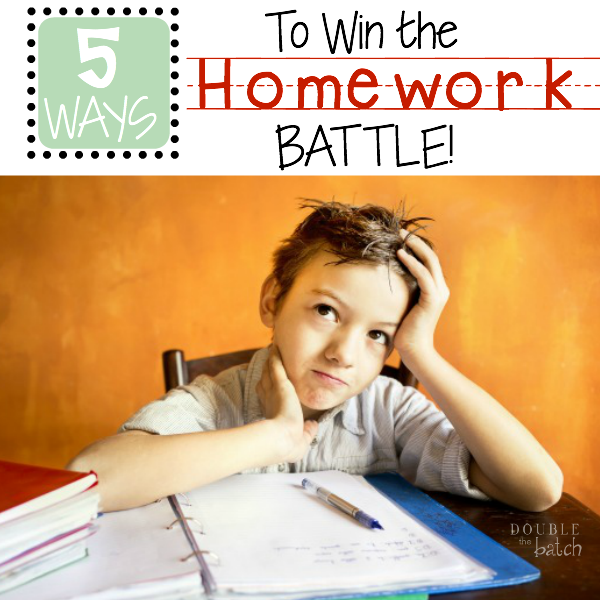 Homework can be 10x the battle if your child is struggling and it takes hours and hours to finish. Make sure you communicate with their teacher if this is the case and reward them for the little things. Maybe set a timer and give them a small treat or sticker for trying their best and working hard for that long. Sometimes, it’s easy to get frustrated when you are trying to help them because you just want them to finish so you can get on with the night. If this is the case, consider also letting older siblings or dad take a turn if you can. Good luck! I wish you the best in your homework battles! When the going gets tough, just remember, summer is only 9 months away! (wait, did I really just say that?) If your kids need some extra motivation, have them watch the following cute clip. My kids love it! My friend started playing this song every morning when she drove them to school. It’s a good motivator for when they feel like life (or homework) is giving them lemons! 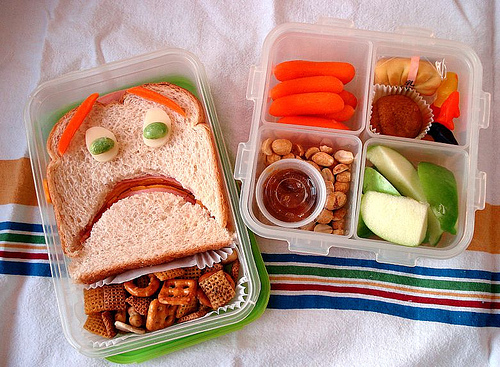 Looking for fun and creative ideas for those sack lunches? Check out my sister’s post, Simple and Easy Packed Lunches for ALL ages.